In 1995 – Ank, a prominent vocalist-guitarist of several underground bands decided to form his own band, in order to have the perfect channel for making the music closest to his soul. 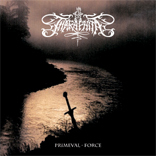 Soon Tharaphita developed it’s own unique style, a mixture of black and heavy metal refreshed by folk and ethnic music and pagan way of thinking. During the years the style has somewhat changed, but it’s nucleus has remained the same. Tharaphita is original, non-recurring and progressing – a contrast to bands that copy eachother’s ideas, riffs or sounds! The band is known as one of the strongest live-acts in Balticum. The shows have a strong feeling and frantic energy to them. Tharaphita has performed with such well known bands as Paradise Lost, Katatonia, Hypocrisy etc. WE ARE WHAT WE ARE, WITHOUT TRYING TO BE!! !